How does a small business build quality backlinks? Are you confused about how to build links to your website? Or, are you concerned that building links is a bad thing that could actually end up hurting your site’s search engine placements? One of the main questions I hear from new website owners is, “How do I rank on Google?” Although Google uses over 200 ranking factors, one significant way to rank higher in search results is the quality and relevancy of backlinks to your website. How do you get backlinks? First, it may be helpful to define exactly what link building is. 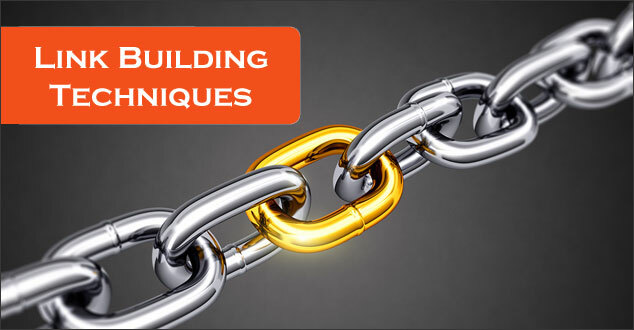 The brief definition of link building is the active pursuit of establishing relevant, inbound links or backlinks to a website to help it achieve higher organic rankings in the major search engines and drive targeted traffic to your site. There has been controversy and misconceptions that the practice of link building is illegal and frowned on by Google. There are some theories that since Google unleashed the Penguin algorithm update, Google will zap a website with a huge penalty for link building. If you don’t have a blog, make it a priority to get one. A blog is an invaluable tool to share valuable information on a regular basis that others will want to link to naturally. It may seem difficult, but you need to have a plan to provide valuable content on a consistent basis on your blog. It is vital to keep in mind that it is more important to get a few links from high quality and relevant, trusted sites than hundreds of links on low-quality sites. Make it a point of pursuing valuable incoming links from high quality and related websites. As an example, if you have a business that provides search engine optimization, a link from the high-quality website, Stone Temple Consulting, would be much more valuable than a link coming from a low-quality link directory. By focusing on creating unique and compelling content, others will want to link to your website naturally. Simply put, great content = great links. By providing unique and original content that requires a bit of work, you will attract others and will most likely get referenced by other people. Having a link on a website that has nothing to do with your business niche will not help your link building efforts. Concentrate on building relevant links on related websites. For example, if your business niche is social media and you write a guest blog article that is published on Mark Schaefer’s Schaefer Marketing Solutions’ blog, this one article with a link back to your website will be more beneficial than 200 guest blog articles on 200 other unrelated and lesser-known websites. Case in Point: My friend, Brooke Ballard, digital marketer & owner at B Squared Media, is a monthly contributor on Schaefer Marketing Solutions’ blog. Brooke states, “I do see a good boost on the week or 2 weeks after I post.” As an added bonus, Brooke shared that she also receives Twitter followers, too. What is even more amazing, is Brooke was originally a guest blogger and is now a regular monthly contributor. By participating in social media sites where your audience is, you will be able to generate traffic to your website. By sharing your articles on social media platforms, others are more likely to visit your website, share it and provide an incoming link to it on their website. Video is a great way to offer value that others will want to link to. If you feel uncomfortable in front of a camera, you might like to consider creating quality video of how-to tutorials to show your audience visually how to do something in your niche. Guest blogging has been a controversial means of acquiring backlinks. Matt Cutts has cautioned against using guest blogging as a primary link acquisition strategy. Can be good for your brand and reputation if you do it the right way. Have the right mindset for how you go about doing it. Go after the top sites in your space and try to get published on those. Typically, when you guest blog on another website, that site provides a link back to your website. The higher the relevancy and quality of the site where your guest post appears will dictate how effective that link is as a search engine ranking signal. In essence, earn incoming links. Think of links as votes. When someone reads your content and finds it of value, it is more likely that they will want to link to it. Link building is not an easy process, but the rewards, when done properly are golden. The bottom line is to give something for others to talk about – link to. Providing high quality and relevant content on your website and blog will help you earn high quality and relevant incoming links to your website. While it takes time, by implementing ethical link earning strategies that follow Google guidelines to the letter, you will help your website stay relevant in the search engine results page (SERPs) and enhance your chances of driving your traffic with better user experience. A great example of unique and relevant content that received a great deal of buzz is an article was an article by my friend, Mandy Edwards, of ME Marketing Services. Mandy’s article, 8 Reasons Your Page Isn’t Being Liked On Facebook, generated a great deal of buzz and came to the attention of the queen of social media, Mari Smith. Mari shared a link to Mandy’s article on her Facebook page and to date the article was shared over 100 times. There is no doubt that the article on Mandy’s website was visited a number of times and was most likely linked to. Years ago, one common practice that some webmasters and website owners participated in was to exchange links with other websites with the sole purpose of increasing Page Rank and search engine placements. It didn’t matter if the websites were relevant. The game was to amass as many incoming keyword rich links as possible. The following are a few examples of link schemes that can spell disaster to your website’s search engine rankings that you will want to avoid. Do Not Buy Links: Buying links in any form from exchanging money to trading products or services in exchange for links. This means that those tempting Fiverr offers for backlinks for $5.00 need to be thrown out the back door. Do Not Participate in Excessive Link Exchanges: This is the practice mentioned above that involves cross-linking with other websites with the sole purpose of improving placements. Just don’t do it. Large-scale Article Marketing or Guest Posting Campaigns: This is the practice of creating large-scale article or guest posting campaigns with keyword-rich anchor text links. Avoid Low-Quality Directories: Do not include your links to your website on low-quality directories. Link Building or Link Earning? The simple answer for a small business trying to build backlinks is by earning them. Following best practices for backlink acquisition to your website will take time, but by abiding by Google’s principles, your site will be rewarded. How will you be inspiring others to link to your content? Do you know of any ethical backlink earning tips that are not included above? I would love to hear your thoughts in the comment section below. Thank you so much for mentioning my article!! Since that post was published, I migrated my site to a new server so, alas, the grand total number of shares no longer shows. Before the site migration, it was around 500 retweets – and that was about 9 months ago. You are very welcome, Mandy. Your article is a great example of what can happen. 500 retweets is fantastic! Thank you for bookmarking this!